Chris Rimmer, captain of the Minderoo Foundation’s Hawaiian Ride for Youth team, speaks about his inspiration for getting involved with the youth suicide prevention event and how he prepares for the gruelling 700km cycling journey. The Hawaiian Ride for Youth Minderoo Foundation team 2019. (L-R) Frankie Millar, Craig Docherty, Chris Rimmer, Antonia Wise, Tim Wise, Bob McGregor. Photo Credit: Youth Focus. This week, 171 cyclists will seek to complete a 700 kilometre journey from the West Australian regional towns of Albany and Jurien Bay to Perth in just five days. Their mission: visit 26 regional schools and engage with hundreds of students about youth suicide, depression, anxiety and self-harm. The Hawaiian Ride for Youth is Australia’s largest event for the prevention of youth suicide, the leading cause of death for young people in Australia. Minderoo Foundation is getting behind the ride by partnering with a team travelling from Albany, up through the Wheatbelt, to Perth. The ride aims to raise more than $1.8 million to support the life-changing mental health services that Youth Focus provides free of charge to young West Australians. Ahead of this massive challenge we spoke with Chris Rimmer, captain of the Minderoo Foundation team, about what inspires him and his fellow riders. Chris is a lawyer, who has participated in the The Hawaiian Ride for Youth for the last five years. Why have you and your team decided to be involved with the Hawaiian Ride for Youth? I became aware of the Hawaiian Ride for Youth and the significant mental health challenges faced by young people in our community through a number of friends who have participated in the ride. I have two young boys and want to do what I can to help Youth Focus raise awareness of mental health and raise funds to provide free counselling to young people dealing with stress, depression and anxiety in the event that my boys might one day need that assistance. But everyone has a different reason. Tim’s decision to ride came about because of the many people he knows who have taken their life or suffered from mental anguish (including his best friend who took his life at 23 years of age). For Antonia, she lost her best friend to suicide at the age of 21, has a close family member who has suffered from anxiety and depression since the age of 16 and she has seen among her own kids and their friends, the mental challenges they face today. 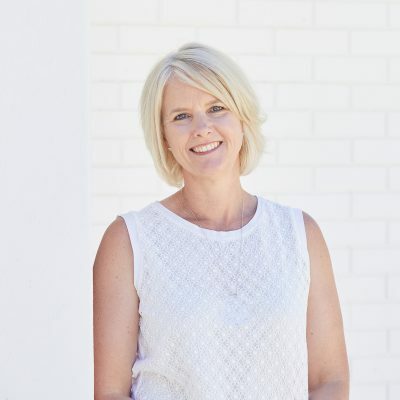 For Frankie it was about meeting new people having recently moved to Perth from Brisbane, along with a desire to help Youth Focus, with her background of having lost her sister 20 years ago and knowing many others suffering from anxiety and depression. For both Bob and Craig, it’s about helping a fantastic charity in Youth Focus that they know does great work in the community. A key part of the decision for each rider was also the goal of getting fit and joining a group of like-minded people to give back to the community. How does your team train for Ride for Youth? All Hawaiian Ride for Youth riders started training in October 2018. On Tuesdays and Thursdays each week, every rider trains in a peloton based on their own ability and strength. Each of those sessions involve hill repeats, strength and endurance training or speed and power training. Every Saturday, we ride together in our route pelotons so the Minderoo Foundation team has done something like 20 Saturday rides together (with three double ride weekends where we also ride on the Sunday). They have varied in distance between 80km and 130km with lots of time spent climbing hills in and around Kalamunda, Pickering Brook, Araluen and Mundaring. Some riders will also do their own extra training during the week. Each rider will have averaged around 250km per week since the training program commenced so that they will have covered 5,000 to 6,000km in training before the ride. What is your team hoping to achieve from the ride? The ride has two main goals – the first is to raise funds to enable Youth Focus to build a more resilient community. It does this through education and the provision of free counselling services to young people faced with mental health challenges such as anxiety, depression, self-harm and thoughts of suicide (noting that suicide is the biggest killer of young people in the nation). The second goal is to raise awareness of, and remove the stigma surrounding, youth mental health. I am also aiming for the ride to be a great experience for every member of the peloton (and the volunteers who support us) filled with fun moments and ideally creating wonderful memories for all involved. Certainly, that has been my experience in the past four rides I’ve completed. What route is your team riding this year? The Minderoo Foundation team is part of the Wheatbelt peloton which will leave Albany on Tuesday 26th March and start riding back to Perth. The other pelotons leaving Albany are the inland and coastal pelotons. There is also a mid-west peloton that starts in Jurien Bay and will ride down to Perth. Megan has been the Partnerships Co-Ordinator in the Building Communities Portfolio since August 2018. Her role encompasses Arts and Culture, Community and Environment, Early Childhood and the Forrest Research Foundation. Megan has a Commerce Degree in Tourism Management and previously worked in the tourism sector.